thermalIC(thermalmodel,T0) sets initial temperature or initial guess for temperature to the entire geometry. thermalIC(thermalmodel,T0,RegionType,RegionID) sets initial temperature or initial guess for temperature to a particular geometry region. thermalIC(thermalmodel,Tresults) sets initial temperature or initial guess for temperature using the solution Tresults from a previous thermal analysis on the same geometry and mesh. If Tresults is obtained by solving a transient thermal problem, thermalIC uses the solution Tresults for the last time-step. thermalIC(thermalmodel,Tresults,iT) sets initial temperature or initial guess for temperature using the solution Tresults for the time-step iT from a previous thermal analysis on the same geometry and mesh. thermalIC = thermalIC(___), for any previous syntax, returns a handle to the thermal initial conditions object. Create a thermal model, import geometry, and set the initial temperature to 0 on the entire geometry. Set different initial conditions on each portion of the L-shaped membrane geometry. Create a model and include a 2-D geometry. Use a function handle to specify an initial temperature that depends on coordinates. Create a thermal model for transient analysis and include the geometry. The geometry is a rod with a circular cross section. The 2-D model is a rectangular strip whose y-dimension extends from the axis of symmetry to the outer surface, and whose x-dimension extends over the actual length of the rod. Set the initial temperature in the rod to be dependent on the y-coordinate, for example, 103(0.2-y2). 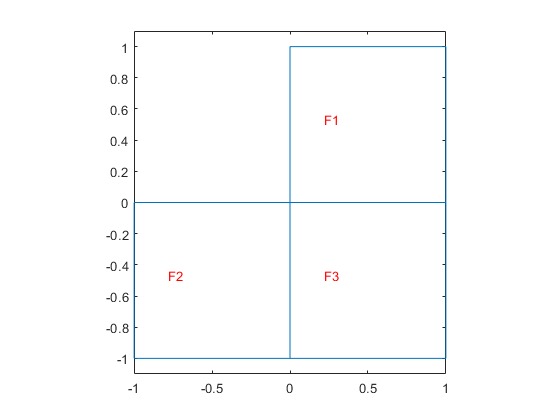 Create a thermal model and include a square geometry. Specify material properties and internal heat source, and set boundary conditions and initial conditions. Generate mesh, solve the problem, and plot the solution. Now, resume the analysis and solve the problem for times from 10 to 15 seconds. Use the previously obtained solution for 10 seconds as an initial condition. Since 10 seconds is the last element in tlist, you do not need to specify the solution time index. By default, thermalIC uses the last solution index. Solve the problem and plot the solution. To use the previously obtained solution for a particular solution time instead of the last one, specify the solution time index as a third parameter of thermalIC. For example, use the solution at time 5 seconds, which is the 11th element in tlist. Thermal model, specified as a ThermalModel object. The model contains the geometry, mesh, thermal properties of the material, internal heat source, boundary conditions, and initial conditions. The solver passes location as a structure with fields location.x, location.y, and, for 3-D problems, location.z. 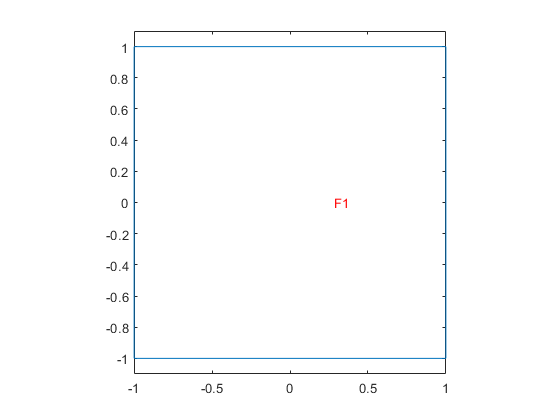 T0fun must return a row vector T0 with the number of columns equal to M = length(location.x). Geometric region type, specified as 'Vertex', 'Edge', 'Face', or 'Cell' for a 3-D model. For a 2-D model, use 'Vertex', 'Edge', or 'Face'. 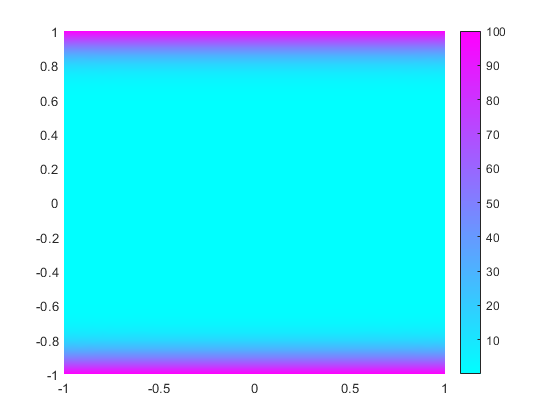 Geometric region ID, specified as a vector of positive integers. Find the region IDs using pdegplot, as shown in Create Geometry and Remove Face Boundaries or STL File Import. Thermal model solution, specified as a ThermalResults object. Create Tresults by using solve. Time index, specified as a positive integer. Handle to initial condition, returned as an object. thermalIC associates the thermal initial condition with the geometric region in the case of a geometric assignment, or the nodes in the case of a results-based assignment.